Quite simply it is fitness training in a boat! We do a variety of exercises, sprints, longer distances, resistance training etc. Just think circuit training in your boat. We follow a session plan each week designed to work on various aspects of fitness, allowing you to push yourself as hard as you want to. 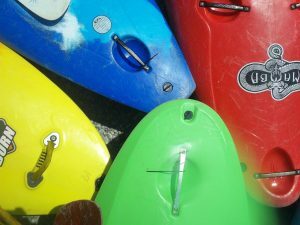 Its open to pretty much any paddler in the club who wants to build their paddling and general fitness. The only requirement is that you can paddle in a straight line, and turn your boat. Meet at the club on Tuesday’s so we can be on the water for a 7:30pm start. Sessions last approx 1 hour session on the flat water.